Brian May says Brexit is the dumbest thing the UK has ever done. On the Daily Express site. JLP wrote: Brian May says Brexit is the dumbest thing the UK has ever done. On the Daily Express site. He also stated that Adam Lambert was a gift from god. Well God does not exist........? JLP wrote: Well God does not exist........? According to John Lennon, "God" is a concept by which we measure our pain. In fact, Brian May covered that particular song. And yeah, pretty dumb decision. Brexiters are now saying the Good Friday Agreement should be scrapped. I predicted this nearly two years ago. A General Election got a lot closer today. Sorry for the question - I'm not trying to rattle any cages, I just genuinely don't follow the news on Brexit these days... Has the Queen made any public statements regarding Brexit at all? Where does the royal family stand? I don't know the exact constitutional setup, but AFAIK, as unelected heads of state they're not allowed to get involved, as officially they have no political power. So we shouldn't ever hear (officially) what they may think. bigV wrote: Sorry for the question - I'm not trying to rattle any cages, I just genuinely don't follow the news on Brexit these days... Has the Queen made any public statements regarding Brexit at all? Where does the royal family stand? Hi Vlad. I don't think anyone follows it that much these days! I don't think it will happen anyway. The government will likely be brought done by their own side, pretty soon. They argue that it's 'democracy', but that's a shallow argument given that the referendum was meant to be the definitive answer to the issue that has been tearing us apart for decades (and they voted in Parliament to let is have the referendum - they just didn't like it when they lost). The Queen? Just a puppet really, she has to remain neutral. She probably hates you 'Europeans' as much as we all do.... In all seriousness, I don't think that anyone here hates Europeans, but we do feel that being goverened by a body that we never elected and can't get rid of. We joined the Common Market initially, we didn't sign up to have to listen to the likes of Junker and Barnier! 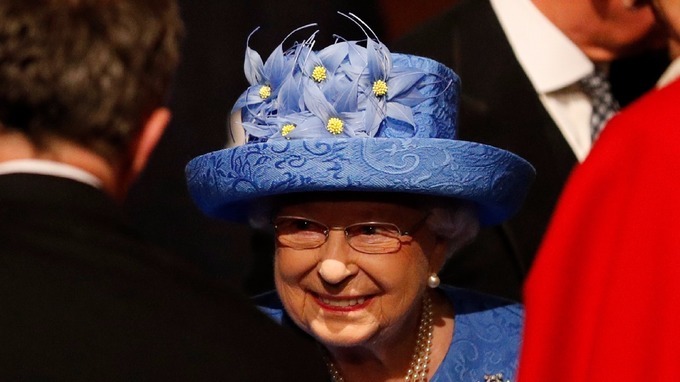 However, people did talk about the colours the Queen wore shortly before the Brexit referendum during a speech in parliament... she wore yellow and blue, the colours of the European Union. Some people interpreted this as a nod to stay in Europe. Roger’s doing hard brexit in August! !